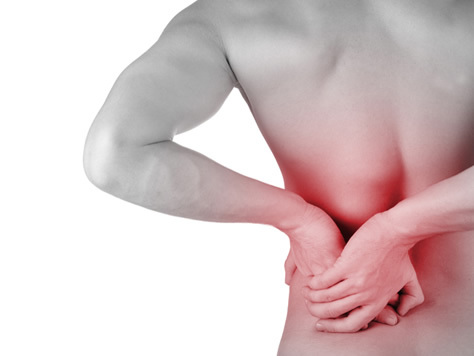 Back pain is a very common complaint – an estimated 60-80% of people are affected at some point in their lifetime. People can experience back pain at any age, but it is most common among the ages of 35 and 55. It is one of the main reasons for sickness absence from work. More often than not the problem is related to a strain, rather than nerve damage. More serious causes of back pain are quite rare. Back pain is classified as either ‘acute’ or ‘chronic’. This relates to the length of time that you have had your symptoms. If you are suffering with constant back pain we need to find out what is causing your pain and how you can avoid further injury. Starting or continuing to exercise with biomechanical dysfunction will cause injury. Our comprehensive muscle balance testing (assessment of tight / weak / overactive / under active muscles) allows us to give you the most accurate and effective way to avoid injury. If you have an injury, identifying the true cause will enable a swift return to normality and prevent recurrence. Whether you are injured or not, we will give you the tools in the form of stretches, exercises, training advice and footwear recommendations to prevent injury and to realise your performance goals. Our Physiotherapist specialises in maintaining and improving movement and mobility. After a thorough assessment we may recommend a course of manual therapy involving spinal mobilisation or manipulation, and techniques such as acupuncture, massage, electrotherapy or supportive taping. Other treatment can include exercises, stretches & postural advice. Our physiotherapists at Holcombe Heath Clinic have extensive training & experience of treating patients with low back pain. We employ up to date & medically researched treatment techniques and advise you on the best treatment options whilst guiding you through the recovery process.